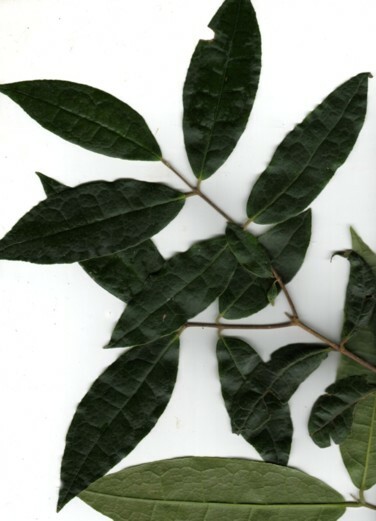 This vigorous, woody climber has leaves 5-14 cm long, which are rough to the touch because of the presence of many small hairs. The leaves are opposite, or nearly so, with edges that are smooth, or with low, rounded lobes. The tip of the leaf is sharply pointed and the lateral veins are almost at right angles to the midvein. The vine climbs upward with the help of backwardly directed shoots at the end of its long, new stems. These anchor-shaped shoots are the reason for its common name. Anchor Vine can be grown from seed, which may take some months to germinate. Distribution: Batemans Bay (NSW) to Northern Qld.